St. Clement's School is accredited by the Independent Schools Association of the Southwest (ISAS). ISAS, a member of the NAIS Commission on Education, has voluntarily submitted to a rigorous and impartial review of its accreditation program and demonstrated adherence to the Commission's Criteria for Effective Independent School Accreditation Practices. 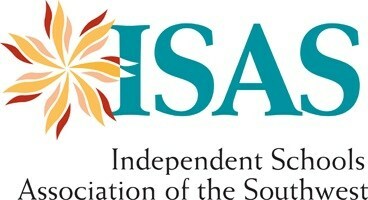 ISAS is commended by NAIS for the quality of the association's accreditation program for its member schools. St. Clement’s School’s state academic standing recognition is through the Texas Private School Accreditation Commission (TEPSAC). TEPSAC is a confederation of accrediting associations, of which ISAS is a member. TEPSAC’s primary purpose is to maintain standards of accreditation among its membership. These standards of accreditation are comparable to Texas Education Agency (TEA) standards and preserve the integrity of the member organizations and the schools they accredit. The State Commissioner of Education recognizes the Texas Private School Accreditation Commission and its affiliated non-public schools. Since 1986, the Texas Education Agency, through the Commissioner of Education, has recognized the accreditation responsibilities of TEPSAC and its affiliated associations such as the Independent School Association of the Southwest. St. Clement’s Parish School has been accredited by ISAS since 1984. During the 1996-1997 school year, St. Clement's became a National Blue Ribbon School. St. Clement’s Parish School was founded as a mission of the Church of St. Clement, dedicated to serving our Lord and Savior Jesus Christ by spreading His Gospel, and by teaching the history of mankind in relationship to God and His creation in a Christian community. Each student is recognized as a unique child of God. St. Clement's School admits students of any race, creed, color, national and ethnic origin to all the rights, privileges, programs, and activities generally accorded or made available to students at the school. It does not discriminate on the basis of race, creed, color, national or ethnic origin in administration of its educational policies, admission policies, scholarship and loan programs, athletic, or other school-administered programs.